A grand title for a grand adventure into the Highlands. 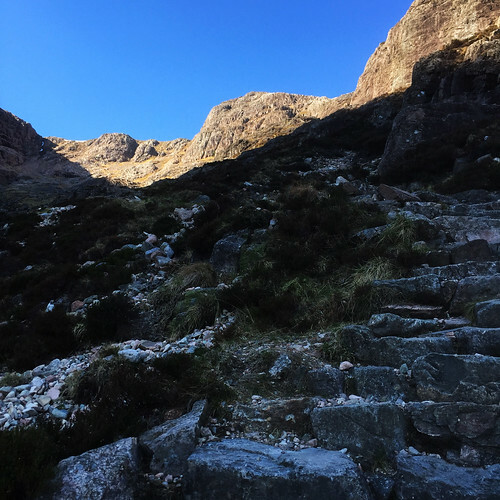 In May of this year, during a long commute on the London Underground, the BBC Weather app informed me of incoming sun to Scotland and suddenly the opportunity arose to tick off my new year's resolution for 2017: Climb a Munro. If you're considering a trip to Bonnie Scotland but find that every new dawn brings new hurdles then drown out the doubts and just do it. Get out there, go! **TOP BEGINNERS TIP** The resources available on WalkHighlands are super impressive. Rather than spend lots of money on fancy maps, I printed off the online versions available for free and coupled it with the excellent WalkHighlands guides. It worked amazingly well. 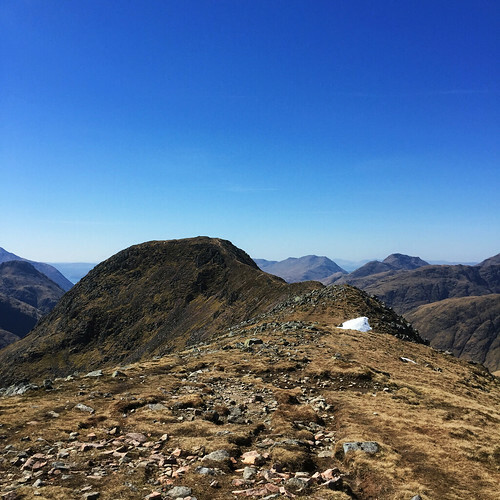 Which Munro would be my first? There was no competition. 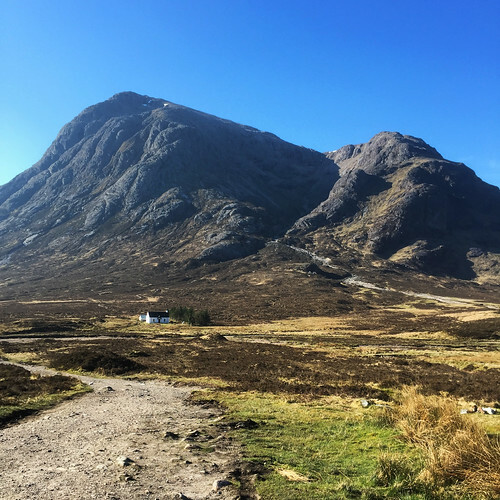 Buachaille Etive Mor is magnificent, magnetic, majestic. It is the quintessential hill; it looks like a mountain should look as it cuts the skyline in an unforgettable fashion. First thoughts: it's a bit steep! Nevertheless, this glorious view was the perfect catalyst for a cheesy grin after a 10 hour drive. I felt blessed to be amongst the Highlands with such perfect weather. 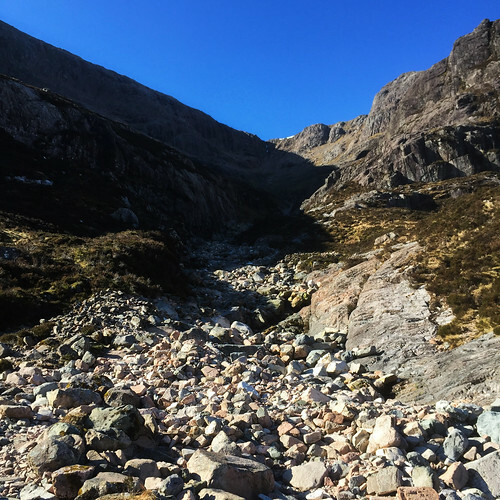 The path quickly morphs into mini-boulders and scree - it's best to keep to the right hand side of Coire na Tulaich, where steps prove to be an assistance. I tip my hat to whoever is involved in carving out these trails - they're a fine balancing act between accessibility for casuals like me and interference with nature. My oh my, the views! Glancing backwards, the car had been reduced to a speck. My heart pounded out my chest from the (very) light scrambling to get out the coire, I didn't expect to be using hands! Instantaneously hooked, I could tell walking would never be the same again. 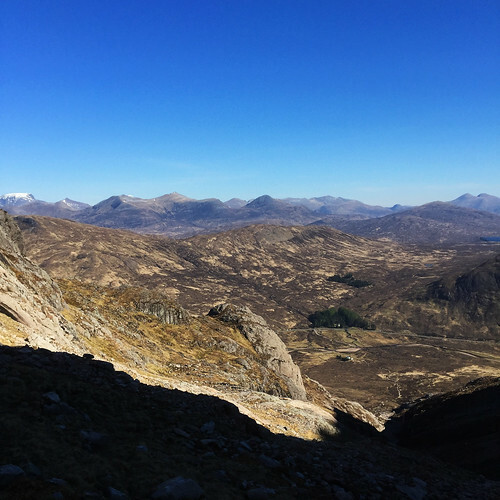 Reaching the peak of Stob Dearg was the best feeling imaginable. The summit! The views! Mission accomplished! I sat down to a celebratory Penguin bar and soaked in the wonderful vibes for a good 30 minutes. The ridge to Stob na Broige is delightful. I had the mountains to myself; it felt serene and beautiful. Does anyone not get a little bit philosophical on a mountain? In good weather, you can't miss the path. After Stob na Broige there's a fairly steep drop down into Lairig Gartain and then a relaxing ramble back along the valley to the car. 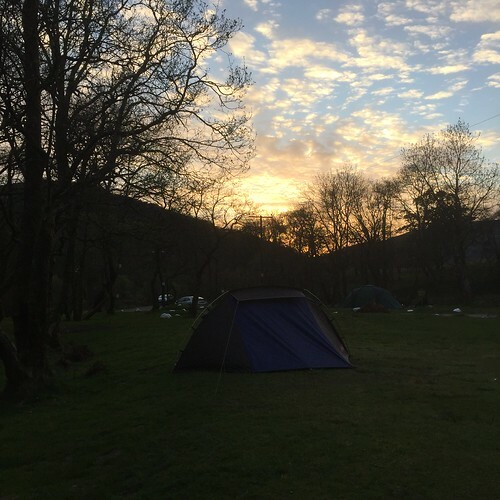 Within no time I'd returned to Red Squirrel Campsite and was toasting a successful first day. 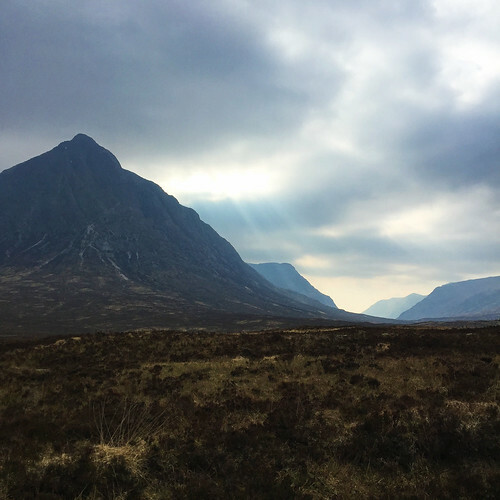 Buachaille Etive Mor has been a transformative experience. It's changed everything to do with nature for me. 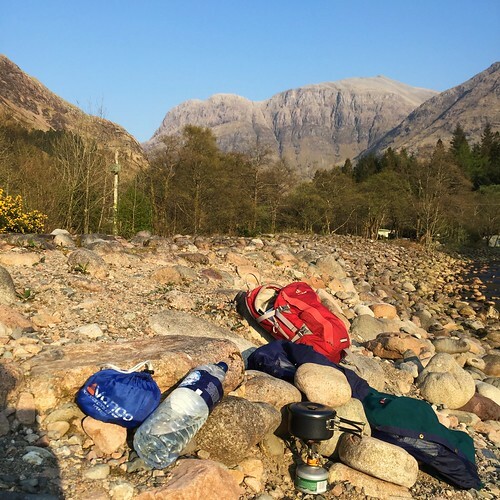 This was day 1 of a week long trip (the following days saw bagging the Munros of Bidean nam Bian, Liathach and Beinn Alligin) - if it'd been a disaster I may well have turned the car around and skittled back south. I thought nothing could get better than Buachaille (how wrong I was! Scotland, you beauty) and I will forever hold an affection for it as Munro #1. This is my first post here so a quick hello to all! 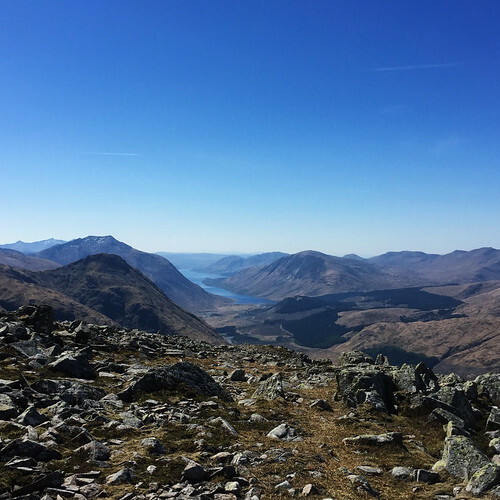 If someone is reading this while umm-ing and ahh-ing about whether to get to Scotland and get up a Munro for the first time - like I was for months with other walk reports - I promise you you won't regret it. Thanks for reading! Lovely enthusiastic trip report. I now feel less guilty that a couple of Glasgow taxi drivers, on looking at me setting off thought the Buchaille would be fine for their 13th (lucky for some) Munro and I never told them that I might look a creaky oap but had actually climbed quite a lot of hills. 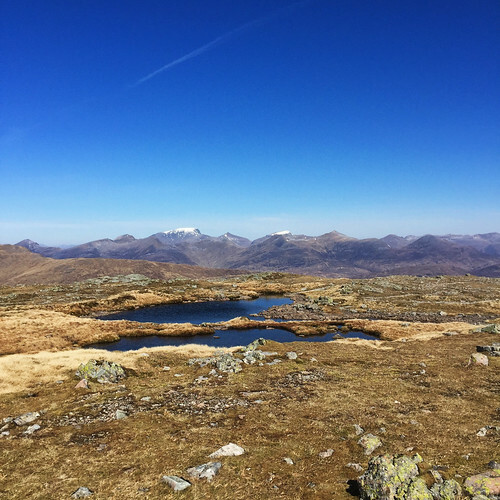 Your first Munro!!!! Well done!!!!. And nobody else was up there on a day like that???? What time did you set off? Was it really yesterday? 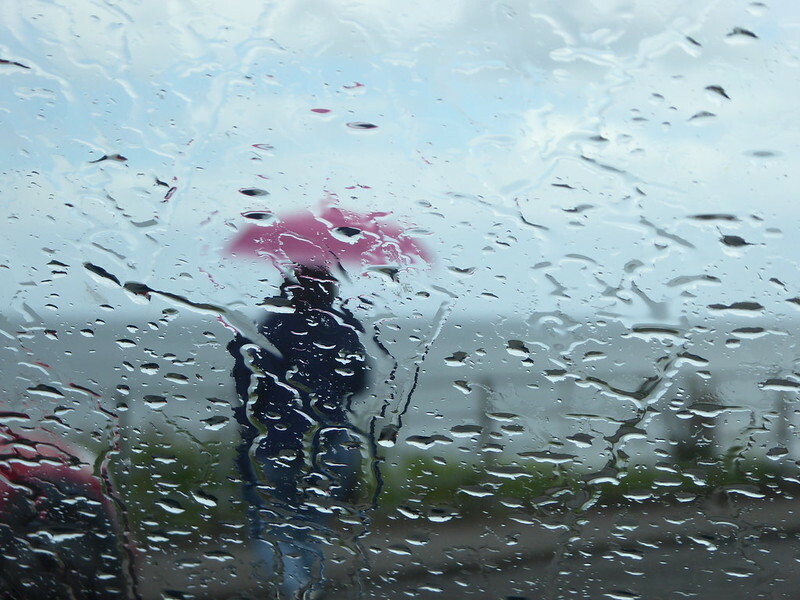 It was part raining where I was in the Borders. Sgurr wrote: Was it really yesterday? Thanks! I've made a mistake with the dates, this walk was done in early May and I set off at about 08:00 from the car park. It's a beautiful mountain and one day (in the far off future) I hope to climb it via the curved ridge. Was going to say - the west of Scotland didn't look like that yesterday! May is often one of the best months for hills - and August/September can be brilliant. June and July are often lousy! MBS_Adventure wrote: Which Munro would be my first? There was no competition. Buachaille Etive Mor is magnificent, magnetic, majestic. It is the quintessential hill; it looks like a mountain should look as it cuts the skyline in an unforgettable fashion. 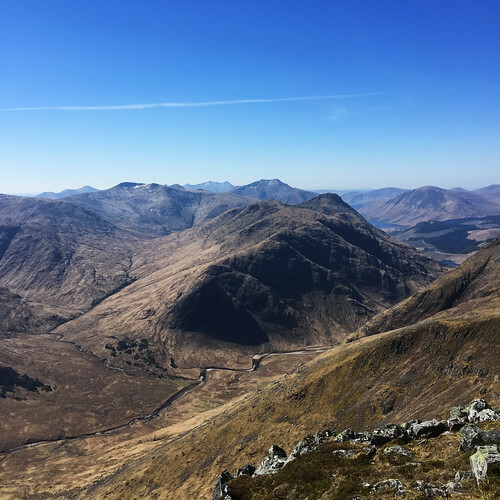 This may well have been my first Munro, I've driven past this beautiful mountain many times over the last 30 years, and it looks spectacular every time (when not in cloud), but, as it happens, I climbed my first Munro in May this year, and it was Ben Nevis. 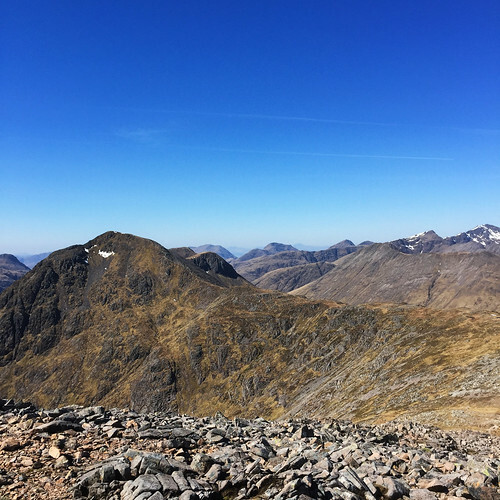 I didn't climb it with the word Munro in mind, didn't even consider it, but once I got home and reviewed my photos and videos, I wanted to climb some of the mountains I had seen from the top of Ben Nevis.